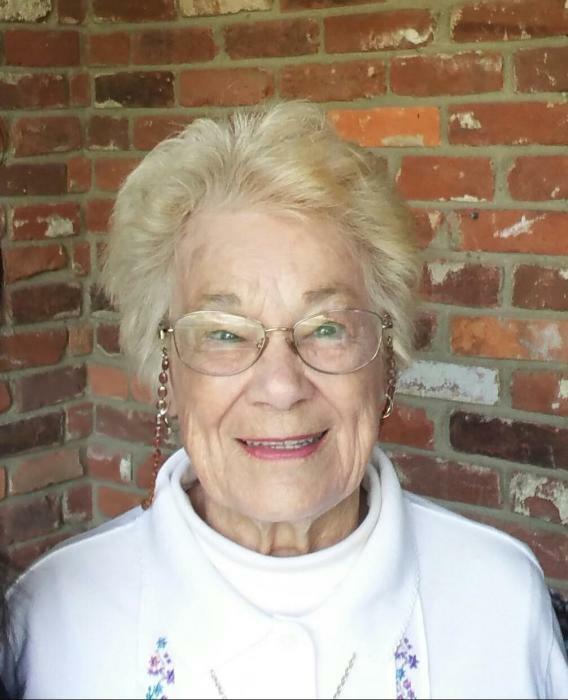 Charlotte Ann Colley (Berryhill), age 87, passed away on Thursday, January 31, 2019 at Hospice of Dayton in the loving care of her family. She was born April 1, 1931 in Piqua, Ohio to Roscoe and Chessie (Kitts) Berryhill. She is survived by her son and daughter-in-law, Seth Colley and Dung “Yoom” Pham-Colley of Bartlett, IL. She was preceded in death by her husband Richard Colley, parents Roscoe and Chessie Berryhill and siblings Frieda Abshire, Dan Berryhill, Ruth Root and Constance Christman. Charlotte was a 1949 graduate of Piqua High School where she was an active member of the cheer squad. On December 2, 1950, she married the love of her life, Richard Marlin Colley from Troy. In 1968 they were blessed with the birth of their son Seth Richard. Charlotte was a 50-year member of the Order of Eastern Star, Troy Chapter #256 and retired from Troy Schools after 25 years of service. Viewing will be Friday, February 8, 2019 from 4:00 to 7:00 PM at Baird Funeral Home, 555 N. Market Street, Troy, OH with an Eastern Star Service immediately following. Memorial Service will be Saturday, February 9, 2019 at 11:30 AM with lunch to follow at First Presbyterian Church, 20 S. Walnut Street, Troy, OH with Reverend Lauren Allen and Reverend Frank Rupnick presiding. In lieu of flowers, donations may be made to Hospice of Dayton Foundation: Hospice of Dayton, 324 Wilmington Ave., Dayton, OH 45420. Condolences may be expressed to the family at www.bairdfuneralhome.com.